The new PATH rod is a smooth-casting, medium-fast action graphite fly rod, offering classic performance for all levels of anglers. Rods through 6 weight have a half-wells handle with a wood reel seat for a classic look and feel, and 7 weights and above feature a full-wells grip with anodized aluminum reel seat that is ready for salt or fresh water conditions. USES : The 990 PATH might be the ultimate one-rod solution for saltwater flats fishing, and is the perfect tool for big winter redfish, trophy largemouth, golden dorado, spooky permit, or general purpose salmon fishing. All water, medium-fast action rod. Wooden reel seats on rods weights through 6 weight models. Durable anodized aluminum reel seat on rods 7 weight and above. Alignment dots for easy rod setup. Durable cordura rod tube with built in rod dividers. CROSSWATER reel pre-spooled with RIO Mainstream® WF fly line. 4 - 6 Weight rods have a CROSSWATER 4/5/6 reel. 7 - 9 Weight rods have a CROSSWATER 7/8/9 reel. 8 and 9 weight, saltwater application, available with RIO Saltwater® Floating Line. This series of fly rods are AVAILABLE. Meaning we do not stock. 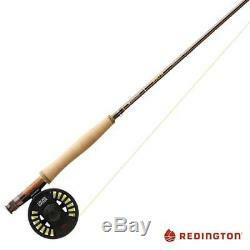 The item "Redington Path Saltwater Fly Fishing Combo 990-4S 9'0 9wt 4pc" is in sale since Tuesday, May 1, 2018. This item is in the category "Sporting Goods\Fishing\Rod & Reel Combos\Fly Fishing Combos". The seller is "fishinfools" and is located in Tarentum, Pennsylvania. This item can be shipped to United States, Canada, United Kingdom, Denmark, Romania, Slovakia, Bulgaria, Czech republic, Finland, Hungary, Latvia, Lithuania, Malta, Estonia, Australia, Greece, Portugal, Cyprus, Slovenia, Japan, China, Sweden, South Korea, Indonesia, Taiwan, South africa, Thailand, Belgium, France, Hong Kong, Ireland, Netherlands, Poland, Spain, Italy, Germany, Austria, Israel, Mexico, New Zealand, Philippines, Singapore, Switzerland, Norway, Saudi arabia, Ukraine, United arab emirates, Qatar, Kuwait, Bahrain, Croatia, Malaysia, Brazil, Chile, Colombia, Costa rica, Dominican republic, Panama, Trinidad and tobago, Guatemala, El salvador, Honduras, Jamaica, Antigua and barbuda, Aruba, Belize, Dominica, Grenada, Saint kitts and nevis, Saint lucia, Montserrat, Turks and caicos islands, Barbados, Bangladesh, Bermuda, Brunei darussalam, Bolivia, Ecuador, Egypt, French guiana, Guernsey, Gibraltar, Guadeloupe, Iceland, Jersey, Jordan, Cambodia, Cayman islands, Liechtenstein, Sri lanka, Luxembourg, Monaco, Macao, Martinique, Maldives, Nicaragua, Oman, Peru, Pakistan, Paraguay, Reunion.